Boing Boing reports a few of their vintage milk finds from Amazon.com, like a fine $185 jug from Jim Pickrell (who has a hundred percent seller’s rating!). Seller Yog Sothoth (also a hundred percent) offers a budget $75 option and a flagship $217 option, of which he “DRANK SOME DIRECTLY FROM THE JUG.” The sellers specifies that the milk will not come refrigerated, and if you’d like Tuscan Whole, it may delay shipment. Purchasing the milk doesn’t necessarily mean you’ll get it (or should). After the milk leaves the cow’s udders, it heads into a refrigerated truck and off to a processing plant where the processors homogenize it, meaning spreading the milk fat particles uniformly through the liquid, and pasteurize it. Pasteurization involves heating the milk to at least 161 degrees Fahrenheit for 15 seconds and cooling it quickly to kill any harmful bacteria like those that cause the Listeria infection and Salmonella, as Barbara Ingham, professor at the University of Wisconsin Department of Food Science, tells Gizmodo. Then, business things happen. Then, on to the fun part—the aging. Milk turns “vintage” (spoiled) because the pasteurization process only kills harmful bacteria, not all of the bacteria. Some of the surviving microbes produce acid, which causes the sour taste and chunky texture. 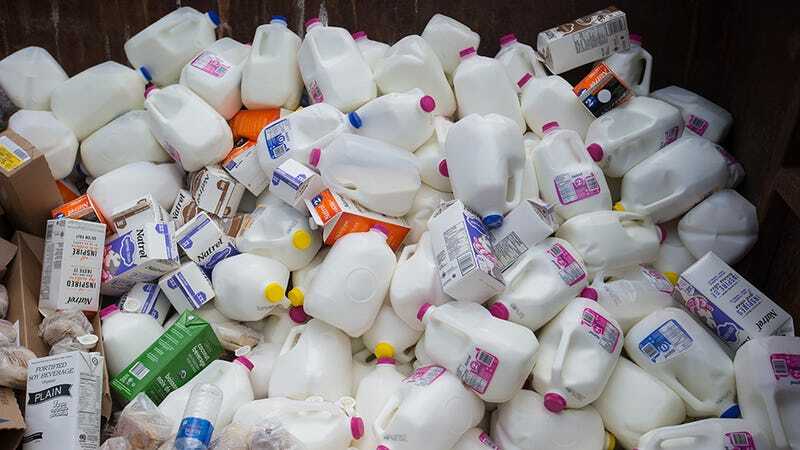 Other bacteria oxidize the milk fat, bestowing the aged carton with its fine, cringeworthy stench. Even more bacteria turn the milk sweet, a normally desired quality in the case of butter or cream. So there you have it. Don’t get this milk because you may or may not get sick, depending on the material of the container and the existence of its contents.